This badge was issued to Vitor Henckel on 02 Jan 2018. The badge earner has demonstrated an understanding of the creation of Chatbots by leveraging Watson Conversation and their deployment on WordPress. 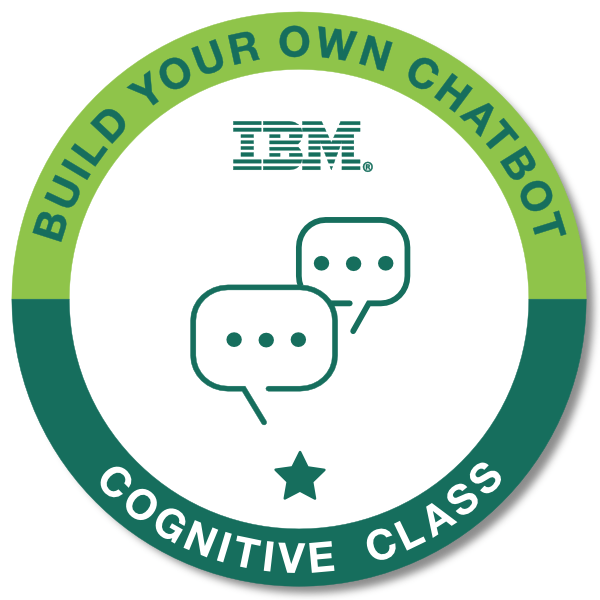 Successful completion of the course Build Your Own Chatbot.